An Ohio agency says it will replace a painkiller widely blamed for the nation's opioid abuse crisis on its list of approved drugs for injured workers. Tony Villanueva, commander of TAG, says they're continuing to see fentanyl in cocaine, crack cocaine and crystal meth. For the first time in U.S. history, a person is more likely to die from an accidental opioid overdose than from a motor vehicle crash, according to National Safety Council analysis. Several drug manufacturers targeted in lawsuits over the opioid crisis have asked a federal judge in Cleveland to sanction Ohio's governor-elect and two other lawyers for statements they made in recent television interviews. The consensus among experts and studies is clear on this question: There are prevention strategies that have been proved to be effective, and the costs of implementing those strategies is drastically less expensive than the cost of responding to substance abuse. "Building upon previous efforts such as enacting new guidelines for prescribing opioids for acute and chronic pain, “Take Charge Ohio” seeks to help prescribers educate their patients about safe pain management." Automotive Reports says "The opioid crisis is showing up “more and more at the automakers' doorsteps." Who is providing long-term treatment in the area? What is marijuana’s role in addiction and the opioid epidemic? "Fentanyl produced in illicit labs in China is easier and cheaper to make than traditional heroin, and poorly mixed batches are primarily responsible for the increased amount of fatal and non-fatal drug overdoses, according to trends spotted in labs at the Ohio Bureau of Criminal Investigation and the Drug Enforcement Agency." For those dealing with the addiction of a loved one, support and self-care can be immensely important. With the Valley in the grips of a deadly heroin epidemic, there is an all-time high for requests for information on treatment centers that can help those battling addiction. Some of the most common symptoms of an addiction can be overlooked. The New York Daily News has compiled a list of how you can tell. The National Institute on Drug Abuse has compiled information on opioid abuse and the ongoing crisis. In the midst of the epidemic, the CDC has released information on understanding how opioids affect us. 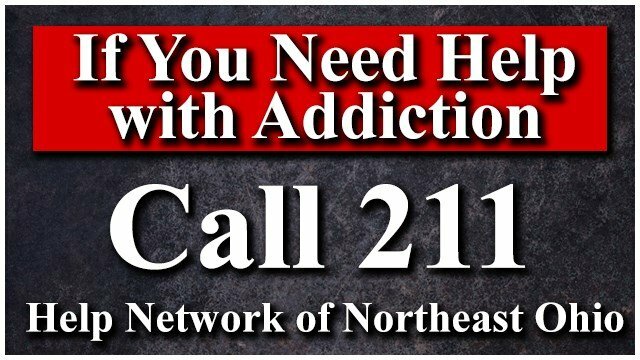 The 21 News team is embarking on a special project to combat the heroin epidemic in our community. Three reporters in the Mahoning Valley, Renee Fox, Jordyn Grzelewski, and Lindsay McCoy, have worked aggressively in recent years exposing the death and destruction wrought by the heroin crisis, yet despite their dire warnings on television, on the web and in newspapers, the situation here has worsened dramatically. While new numbers from 2018 show progress in the fight against the deadly opioid epidemic in Trumbull County, the cost continues to strain the budget of the Trumbull County Sheriff's Office. A report says the number of Ohio drug overdose deaths involving meth or other stimulants soared last year. New data from the CDC ranks Ohio as the second worse in the nation for opioid drug deaths, but officials here in the Valley say the picture isn't complete.